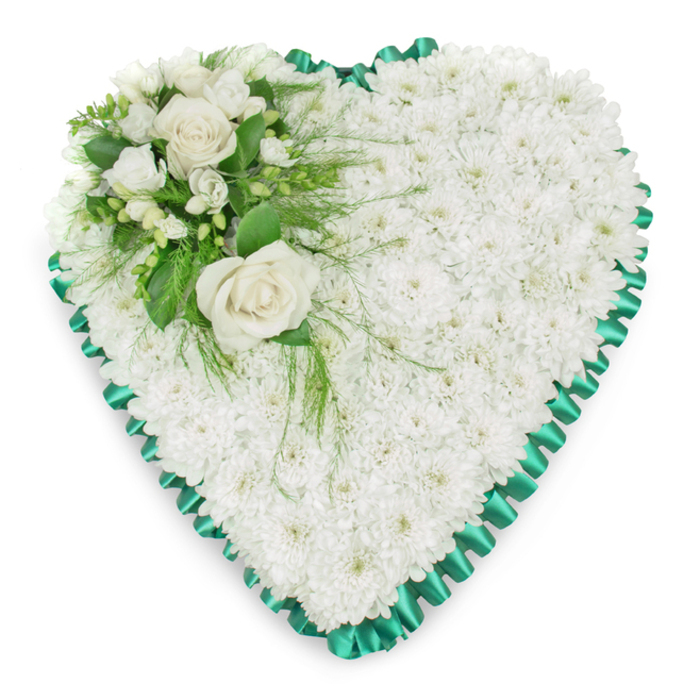 White chrysanthemums are beautifully complemented with white roses and freesia to create this elegant tribute. 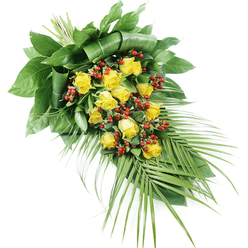 A lovely way to express your deepest sympathy in times of sorrow. 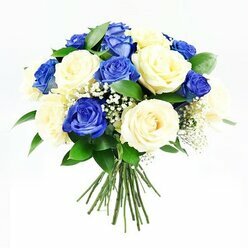 Very pleased with the service and the flowers. 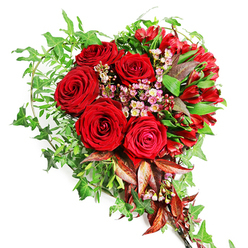 Found it really easy to order the flowers through this website. They even contacted the funeral directors to confirm the delivery. Very prompt service. Professional service right from the start. 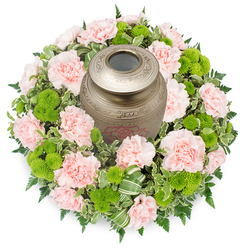 They were very nice on the phone, took my order quickly and stress-free and delivered the loveliest funeral tribute. Very good company with an amazing team. Prompt delivery. The flowers were very beautifully arranged. Finally a company that I can trust. I wanted something special for my father in law's funeral. Something that would catch everyone's eyes and truly show what a remarkable man he was. Show exactly how much he was loved and will be missed. The two tribute arrangements my husband and I ordered were perfect. 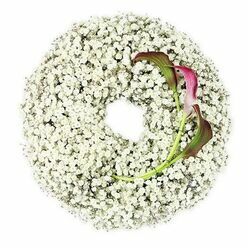 They were breathtaking, full of white flowers (he loved the colour white). They just seemed to hit a sympathetic chord in people. Truly remarkable! The florist is excellent. I am very grateful for these. 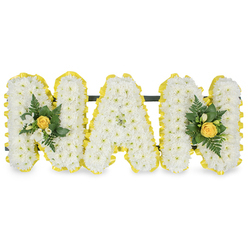 Suitable flowers for a funeral service. Very good service. Thanks.